Winnipeg radio host Dave Wheeler lost his job after repeated warnings, training and a suspension due to his behavior — including an incident in 2017 where he allegedly "attacked" a colleague and his station — according to the CBC citing a statement of defense filed by his former employer. 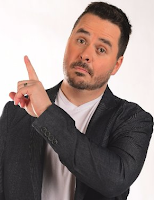 Wheeler was fired in July from his position as host of Wheeler in the Morning on 92 CITI FM, a station owned by Rogers Media, for his part in an on-air conversation about actor Scarlett Johansson pulling out of the upcoming film Rub and Tug. He filed a $1.4-million lawsuit against his former employer in September, which suggested Rogers encouraged Wheeler to be "edgy" and "controversial." In its statement, filed on Nov. 5, Rogers said Wheeler was told from the beginning of his employment that he was to be "selective" in his comments "and was specifically coached as to acceptable and unacceptable commentary on air." Rogers also denied Wheeler's allegations that he was encouraged to be controversial on air. "He was entitled to be goofy, loud, raucous and rumbustious but not to be editorially 'controversial,'" the statement of defense said. In addition to being disciplined in 2016, with a one-day suspension over his part in two videos that embodied racist and sexist stereotypes, Wheeler was also reprimanded for an incident that happened in August 2017, according to court documents filed by Rogers. Wheeler was fired after he took issue on air with the pressure put on Johansson to withdraw from a film. During the segment, he compared trans people to actors "who pretend to be different things."